Yummm… if you're wondering, they do look as good as they taste. Simply blend ice cream and milk until smooth. Add peppermint extract and food colouring. 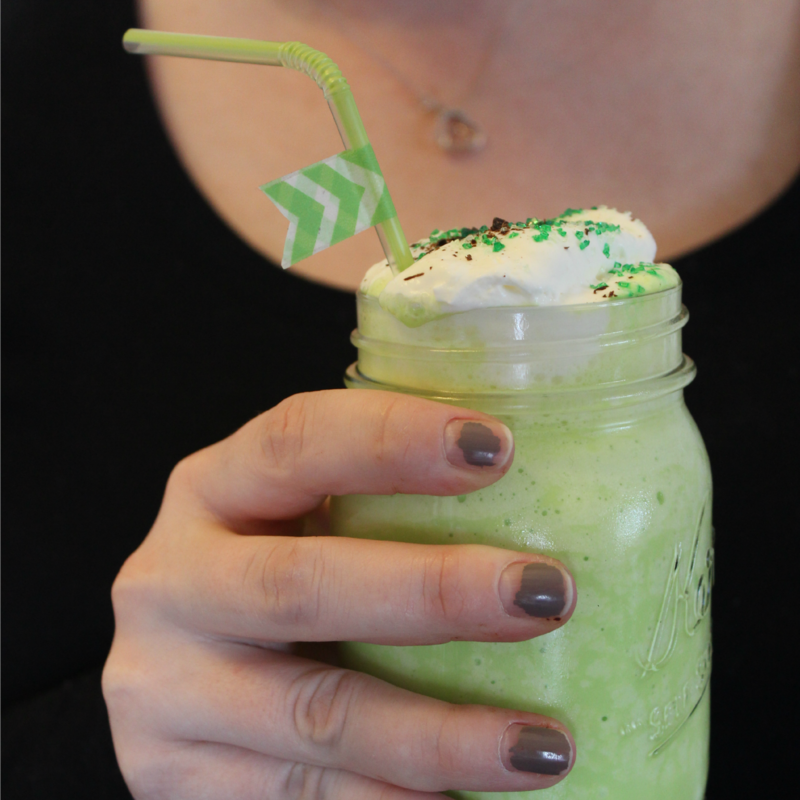 Pour into festive St. Patrick's Day cups (or you know… whatever you have, lol). Top with whipped cream, sprinkles, and chocolate shavings! Makes 2 servings. Yum! 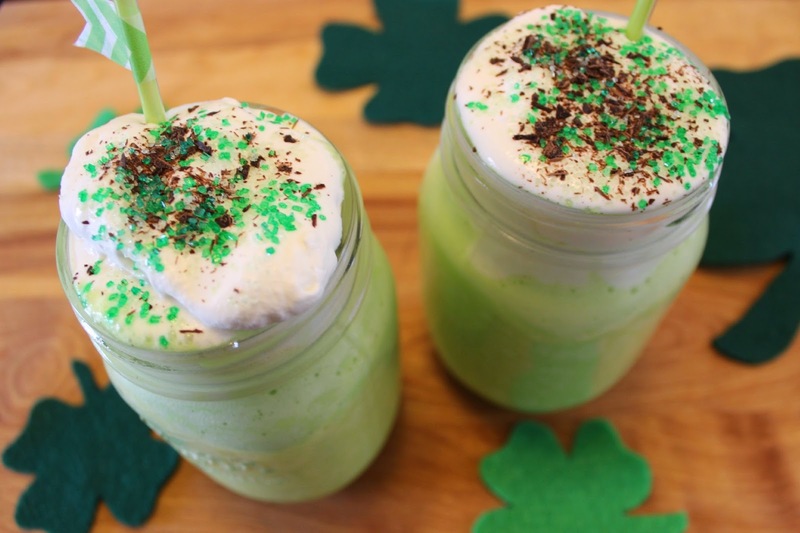 They look delicious :) Shamrock shakes!